Head shape: Narrow, semi-circular head. 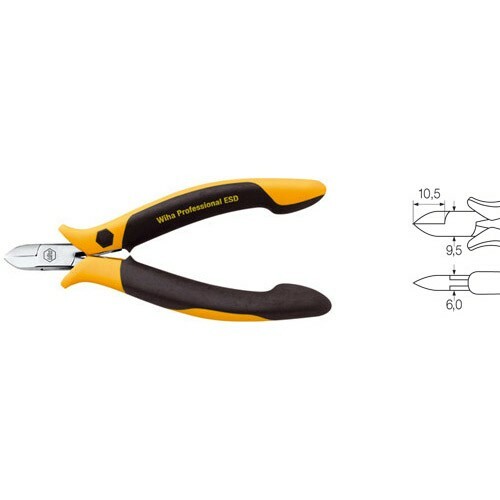 Design: Cutting edge with full flush cutter function for virtually flush cutting. Maximum service life of cutting edge achieved through additional inductive hardening to approx. 64 HRC. With opening spring. Surface resistance 10^6 - 10^9 ohms. Application: For virtually flush cutting of copper wire in places which are difficult to access.